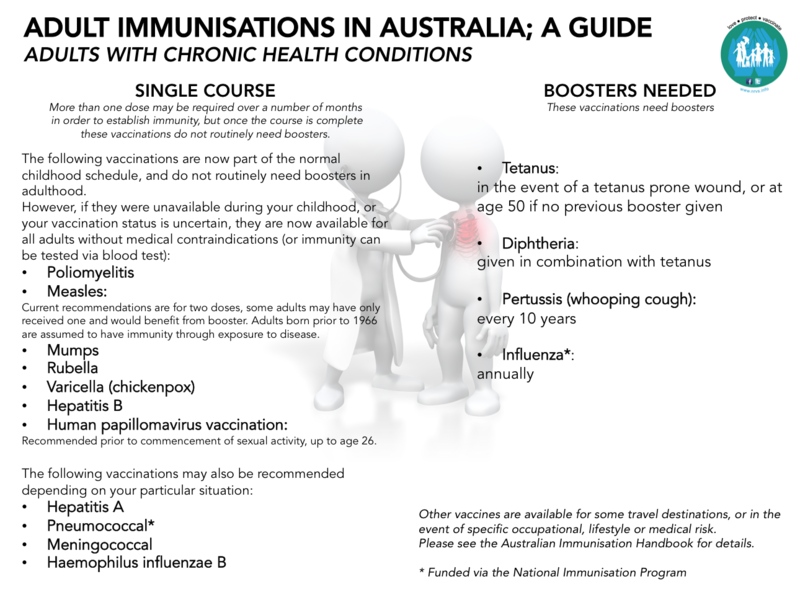 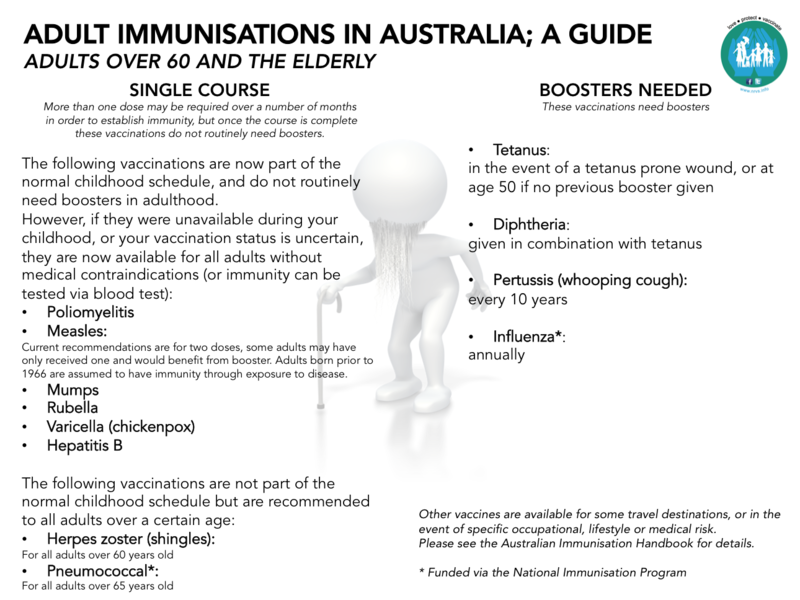 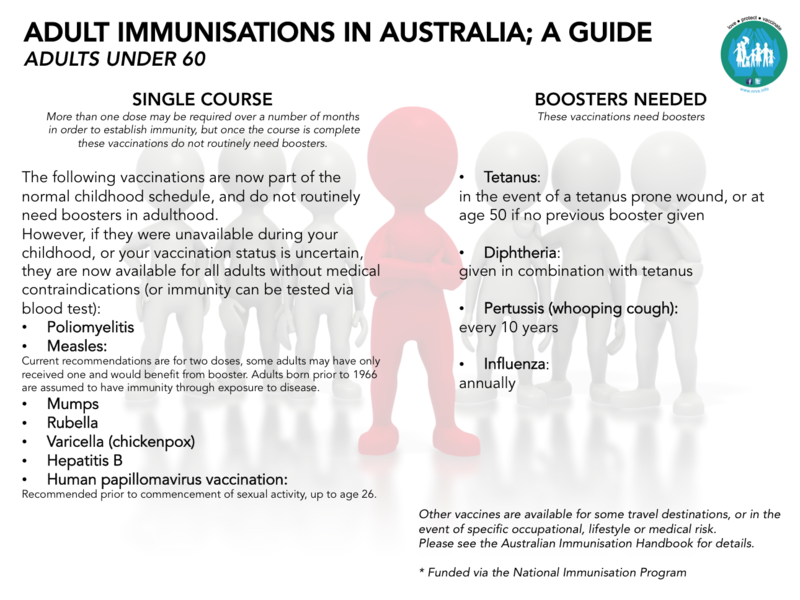 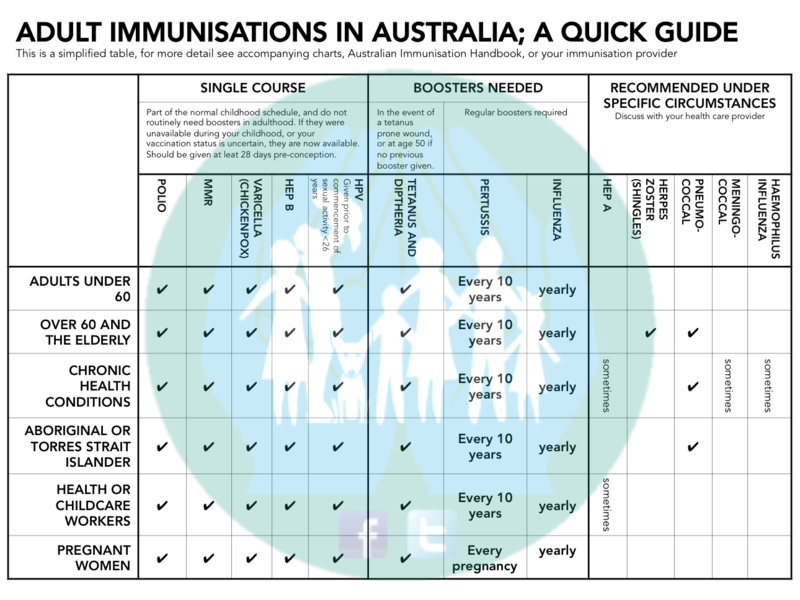 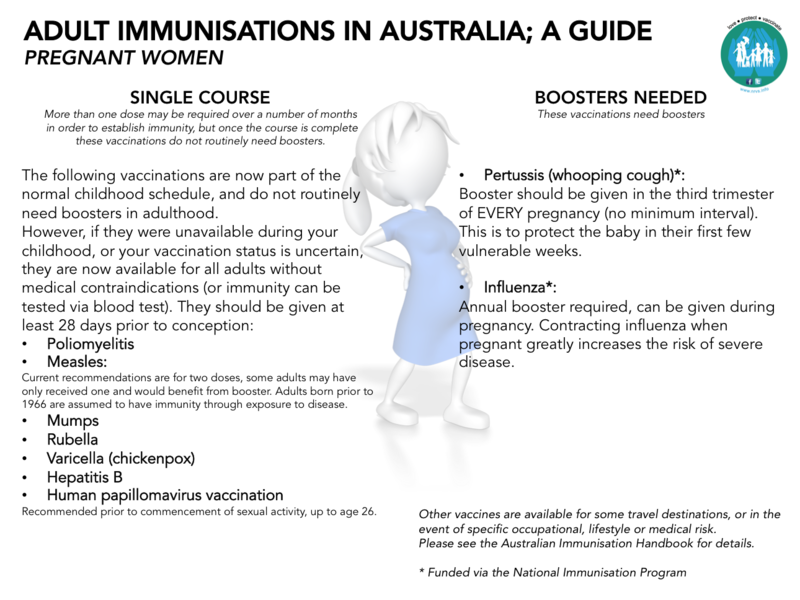 This is a basic guide to adult immunisations in Australia including those funded on the National Immunisation Schedule; however to confirm your own specific needs or that of your family, see a registered immunisation provider such as your GP. 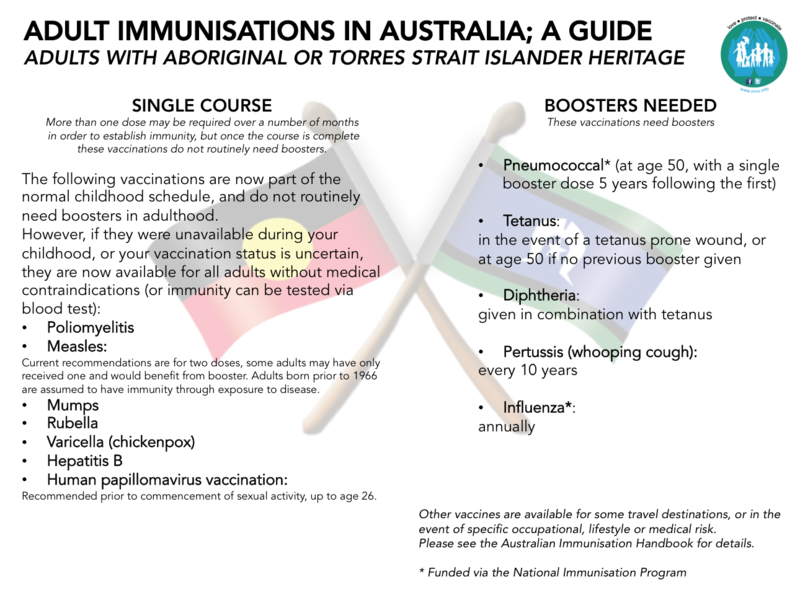 Other vaccines are available for some travel destinations, or in the event of specific occupational, lifestyle or medical risk. 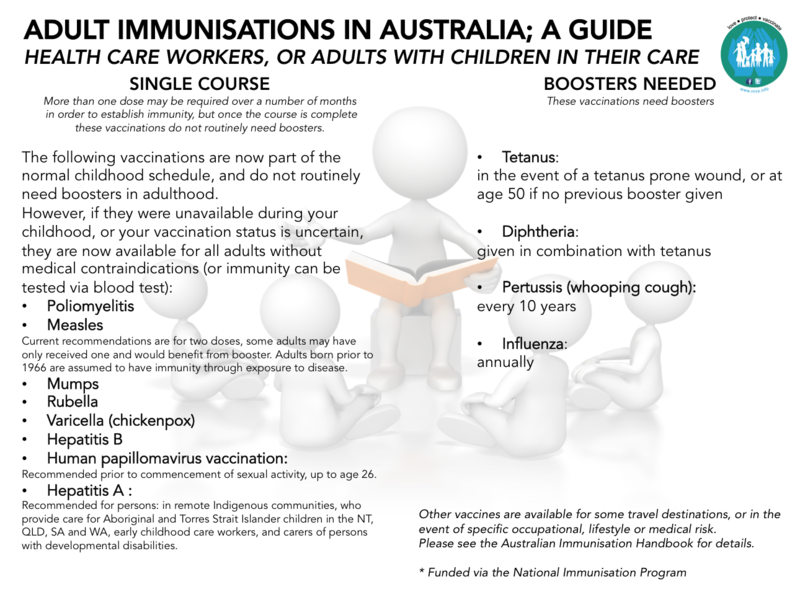 For more information, take a look at the Australian Immunisation Handbook, see your GP, your occupational health advisor, or visit a travel vaccination clinic such as this or this.